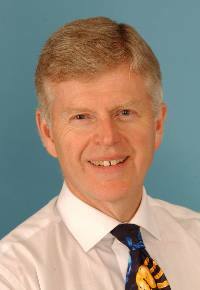 Charles Pailthorpe specialises in hand and wrist surgery. Surgery of the hand was probably practised as long ago as 1780 BC. Throughout all ages, the aim of any operation has been to relieve symptoms and recover function. Over the past few years recognition of the importance of rehabilitation (hand therapy) in recovering from hand surgery has increased. Hand surgery has become increasingly complex over the years as a better understanding of the conditions has developed and superior imaging modalities are more widely available. The use of magnetic resonance imaging (MRI) scans along with ultrasound (US) scans has revolutionised the practice of hand surgery. The initial assessment is critical and, when appropriate, these specialised scans are used after which an objective diagnosis can be made and the options discussed. The patient's lifestyle and personal preferences are central to the decision-making process as to whether surgery is justified. However, all patients are given clear information on what can be achieved by surgery, the risks involved and any potential limitations. Clearly this can vary enormously between patients depending upon the severity of the individual's condition. The surgery takes place in modern operating theatres across the county, mainly as day cases. Upper limb anaesthesia has now developed to such a degree that most hand operations can be performed while the patient is awake. However, if someone feels that they would prefer to be asleep for the surgery, a general anaesthetic can be arranged. Outcome following hand surgery is determined by the partnership between patient, surgeon and hand therapist (if required). Each partner has an equal share in attempting to reduce problems and to strive to achieve a satisfactory outcome for all. Please read an article submitted by one of our patients recently on Preparing for surgery to the upper limband also Coping with daily life after upper limb surgery. I hope that you find this site useful as it is primarily to provide extra information for my patients that may not have come out in the consultation. It is not meant to be totally comprehensive but should give some insight into the different conditions, the potential treatment options and the risks and complications. The General Medical Council advises that all licensed doctors should seek feedback from their patients to help improve their further development. I would be grateful if you could complete the following form which is completely anonymous. Also, I would be grateful for your feedback on the overall service so any comments are welcomed, please fill in the following feedback form.